On the left side of the page is a sidebar which contains numerous buttons. Directly under the site logo are the navigation buttons. The two buttons you should concern yourself with at the moment are "Home" and "Help". The Home button obviously takes you to the Main Page and the Help button takes you to the Help page where you can learn more about using BattleTechWiki. The Main Page is the best place to start out if you aren't sure what you're looking for or just want to start looking around. 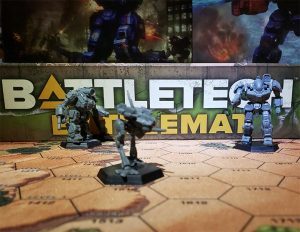 As BattleTechWiki grows, the Main Page will undoubtedly change in content and appearance. If you know what you're looking for, the fastest way to get there is the search bar. If you know the exact title of the page you want, type it in and click Go, and you'll automatically be taken to that page. If that page doesn't exist or you click Search, you'll be taken to a results page with a list of all the pages containing your search terms. For example, typing in "New Avalon" and clicking Go will take you directly to the page for New Avalon, while clicking Search will show you a list of all the pages that contain the words "new" and "avalon". On just about every page you look at, there will be numerous wikilinks - words or phrases colored blue or red. For example, the word wikilinks in this sentence is a wikilink. A blue wikilink will take you to another page covering whatever topic the linked words are about. A red wikilink means that the corresponding page hasn't yet been created. Authors will sometimes link to a nonexistent page when they feel it needs to be created and plan to create it themselves later, or leave it for someone else to create. 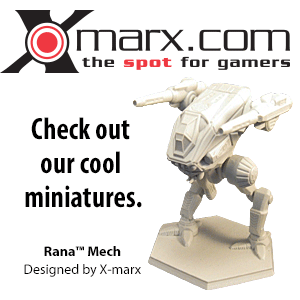 Contact Nicjansma if you want to use a tool that automatically creates Wiki-links for BattleTech articles (based on a long list of keywords, terms, characters, places, etc in the BattleTech universe).